Barbara Bush just showed why she has always been a class act. She was loved by many conservatives and liberals around our country! The former first lady to President George H.W. Bush, has died at the age of 92. She passed away this evening after receiving comfort care at home. She is survived by her husband, their five children and their spouses, 17 grandchildren and seven great-grandchildren. Barbara Bush can be argued as the perfect supporting figure at a time when the country dived into modern times. 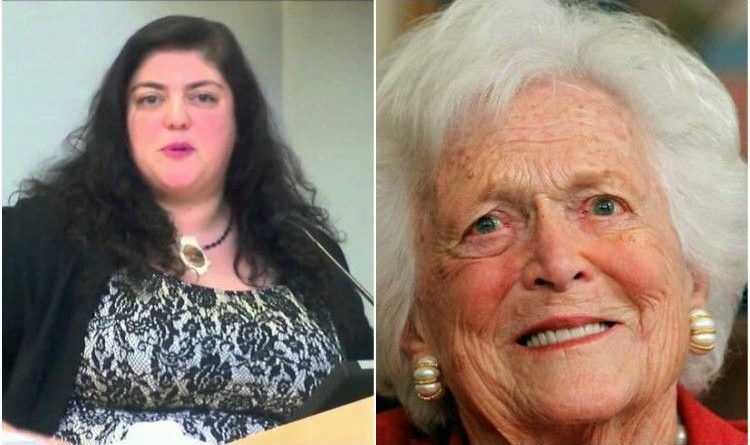 Well, she wasn’t appreciated by everyone, for example, Fresno State Associate Professor, Randa Jarrar cheered the death of former First Lady Barbara Bush on Tuesday from her verified, ‘blue checkmark’ Twitter account. People from all sides of the political spectrum set politics aside for a moment and offered condolences. 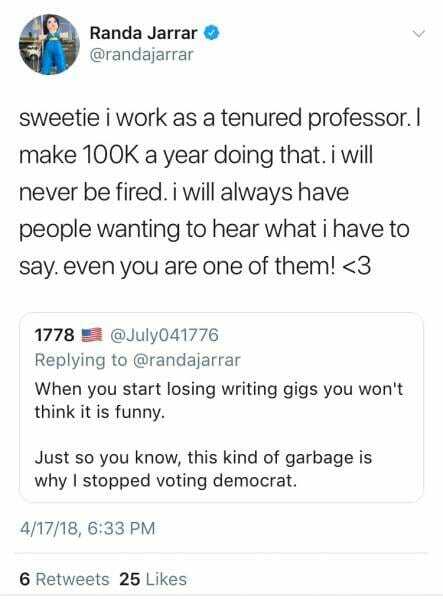 The Gateway Pundit has provided screenshots of Randa Jarrar’s tweets in case of deletion. According to Fresno State University’s official website, Randa Jarrar grew up in Kuwait and Egypt and moved to the US after the Gulf War. She needs to check her paperwork!! Even Tenured professors can be fired for cause. This excuse for a professor and person must be fired!!! Her despicable comments go to the core of who she is and no one like her should be around students!!! I think we need to share this information and boycott her she must lose her job because we can’t let this woman teach our children anything!